Martha Gellhorn had already written a couple of books when she met Ernest Hemingway, and was constantly irritated when she was compared to the illustrious writer. ''Why should I be a footnote to somebody else's life?'' she bitterly asked in an interview. She met Hemingway in Spain, where she was covering the conflict for Collier's Weekly. She had travelled with nothing but a knapsack and $50. Her relationship with her father was rocky. Constantly seeking his approval, and seldom receiving it, it is a tribute to Gellhorn's tenacity that she motored ahead for what she believed in. "Write, and do it now instead of capitalizing on your nice figure and your pretty hair. Stop being so charming." However, I do love these sage words of advice that Martha Gellhorn's father gave her earlier on. "You need to live with yourself, not others. That's the difficult part. When you learn to accept your own nature, it will start to feel peaceful, not frantic." 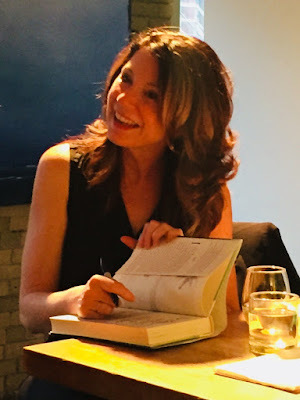 I had the pleasure of being invited to a private event at The Spoke Club, hosted by Chapters Indigo, and got to hear Paula McLain speak about her writing for the book. Her travels to Cuba, and relentless pursuit of research archives to make her Martha Gellhorn (the fictional character) as real as possible was admirable. The timing of the release of Love and Ruin couldn't be more perfect. In a world where we are consumed by #MeToo and women are standing up for the way they have been treated in the worldplace, Martha Gellhorn seems to have been a trailblazer. And kudos to Paula McLain, for writing a novel about a woman we can all rally behind and admire. Aspiring writers can appreciate the turmoil that Martha Gellhorn went through in trying to publish her work and getting rejection letters. A Time editor sent her his regrets by mail in a single discouraging paragraph. The tone was wrong for them, somehow too serious and also not serious enough. He suggested Martha Gellhorn try again at some point, when she had more experience under her belt. Paula McLain's The Paris Wife was well received by readers, as it took them through Hadley and Ernest's love story in the 1920s. Hadley Richardson had a kind of Disneyesque charm that appealed to the heartstrings of many; all hoping that this would be the epic love story that everyone would be talking about for years to come. Martha Gellhorn was an altogether different animal from Hadley Richardson. A fierce, independent woman in her own right, she challenged Hemingway in ways his previous wives didn't. It has been said that she didn't cater to Hemingway in the manner of his previous wives . 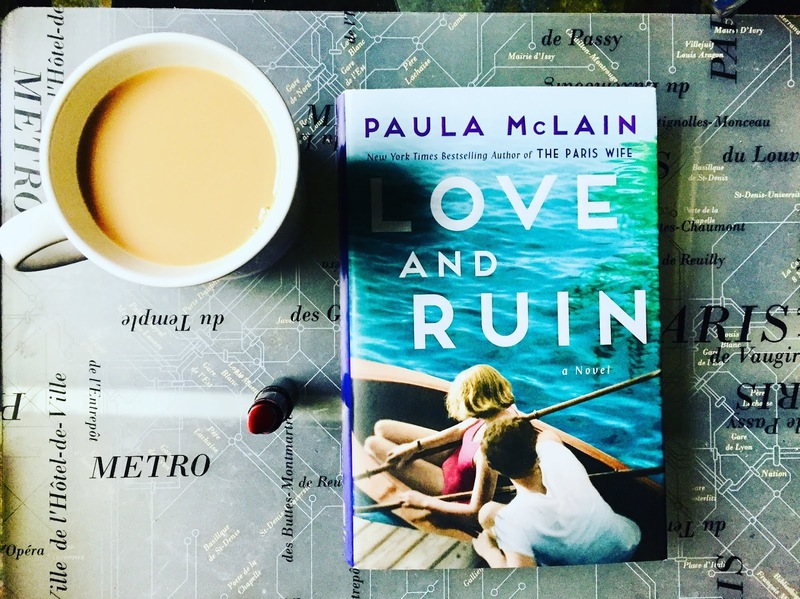 Paula McLain has a soft spot for romantic storytelling, and she's turned this book in a tale of romance, not just between the characters, but also for the places around the world that her characters always seem to find themselves. Because I have been to Havana, it was absolutely delightful to take a walk back into the city that seems to have been trapped in time, since the days of Hemingway and the days of Viva la revolución. "We loved all the little shops and cafés, the old aunties who sat on benches in their smocks and woven hats. We loved the boys in their white T-shirts and smooth dark hair, the loose way they walked, sometimes smoking, sometimes laughing, alive with youth and looking for trouble." Whether this is the voice of Martha Gellhorn herself, or if it is the romanticized historical fiction version of her, Martha did seem to have a wonderful positivity and a zest for life. "That life doesn't have to be complicated, not if we focus on what really matters. We have everything going for us." During the time that Martha Gellhorn was with Hemingway, the world seemed to be in constant flux and turmoil. What Paula McLain has a knack for is capturing the complexity of the situation into prose that's graspable, uderstandable but not watered down. "In Europe, the Nazis had recently signed the Pact of Steel with Italy, binding Berlin and Rome, Hitler and Mussolini, in an alliance that could only mean more senseless death. The threat was never very far away now, and it lent a particular intensity to moments like this one, the rolling surf and the laughter, the wine and the coming stars." The Winter War consumed part of Martha Gellhorn's and Ernest Hemingway's life together. Times apart (with the looming war in the background) and their individual desire to follow their dreams, sometimes resulted in the inevitable differences of opinions and clashes. I have always wondered how two writers can form a life together...each needing the space to develop their own work, and yet wanting to be supportive of their partner. Love and Ruin, gives you a bit of a glimpse into one such relationship. A minor quibble: I do feel that Love and Ruin glossed over the intensity of these situations and didn't get into the granularity of the disagreements that may have occurred between Martha and Ernest. "I was sick with missing him, yes. I felt so alone here, and more frightened than I'd been in a long time. But none of that changed the truth. There were stories here that needed telling, and I couldn't leave until I'd done that." Martha Gellhorn was a true reporter. She believed she had to write what she'd seen and keep out what she felt. "Collier's wanted reporting, not histrionics or hand-wringing. Not tears." Love and Ruin is original and fresh. It's great to look at things from the other perspective. We all know Ernest Hemingway's story. Now we have a glimpse (albeit fictional) into what it was to truly fall in love with him.